The Worldwide Intellectual Property Network (WIPNET) Global, is the Intellectual Property (IP) Department of the Nico Halle & Co. Law Firm, which has seen the light of day after over twenty-seven years experience in the Intellectual Property (IP) domain. 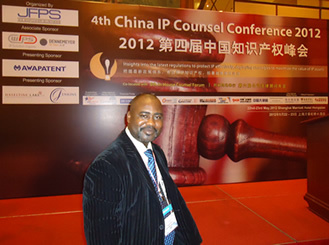 WIPNET Global comprises top, leading, experienced Licensed Intellectual Property (IP) Attorneys, Accredited IP Agents and specialists who are unrivalled in Cameroon and the entire OAPI Jurisdiction, each specialised in a particular area of Intellectual Property such as Trademarks, Patents, Copyright, Design, Utility Models, etc. A Periscopic View Of The African Intellectual Property Organisation. Welcome to WIPNET GLOBAL online! Worldwide Intellectual Property Network (WIPNET) Global is the IP Department of the Nico Halle & Co. Law Firm which has been established in a bid to meeting up with clients’ increasing demands in the IP domain. We operate within the African Intellectual Property Organisation (better known and called by its French acronym OAPI) Jurisdiction, which comprises 17 Central and West African countries viz: Benin, Burkina Faso, Cameroon, Central African Republic, Chad, the Comoros Islands, the Republic Congo, Cote d’Ivoire, Equatorial Guinea, Gabon, Guinea – Bissau, Guinea – Conakry, Mali, Mauritania, Niger, Senegal and Togo. 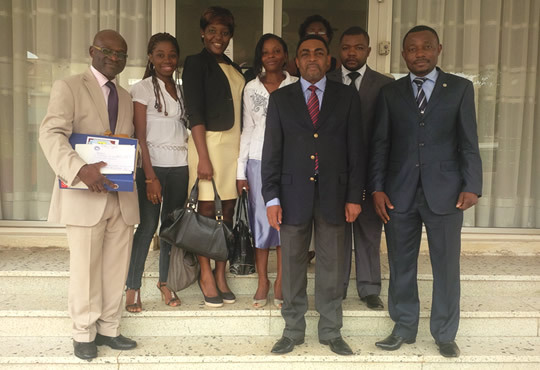 - The Headquarters of OAPI is in Yaounde - Cameroon. OAPI Recycling Programme of July 29 - August 02, 2013. Three members of our IP Department who took part at the programme in a group photograph with the Director General of OAPI. * Our Senior Managing Partner Mr. Nico Halle is now the Vice President of the Association of OAPI Accredited Attorneys (AMOAPI). * Three members of our IP Department took part at the one week Recycling Programme organised by OAPI from July 29 - August 02, 2013 at the OAPI Headquarters in Yaounde. It is important to note here that the African Intellectual Property Organisation (OAPI) provides a broad territorial protection to applicants of Intellectual Property. This is due to the fact that seeking protection in one Member State, you automatically benefit protection in all the 17 Member States, unlike other regional Organisations which require separate filing in each member State. The most recent positive development of WIPNET Global is that it networks and partners with Companies, I.P. Attorneys and clients within WIPO (World Intellectual Property Organisation), ARIPO (African Regional Intellectual Property Organisation) Jurisdictions and other African countries. OUR VISION: WIPNET Global was born out of our desire to provide the best IP services to clients worldwide. We have combined experience with diligence, commitment, cost-effectiveness, efficiency and professionalism to translate our vision into concrete action. Copyright © wipnetglobal 2013. All rights reserved.